With 90% of marketers now using an editorial calendar, we understand the value of capitalising on key events throughout 2017 and beyond. Now just because we’re approaching the tail-end of summer, it doesn’t mean it’s too late to plan the rest of the year. How can Hotel 365™ help me? Taking the time upfront to create a plan will save a lot of effort in the long run. 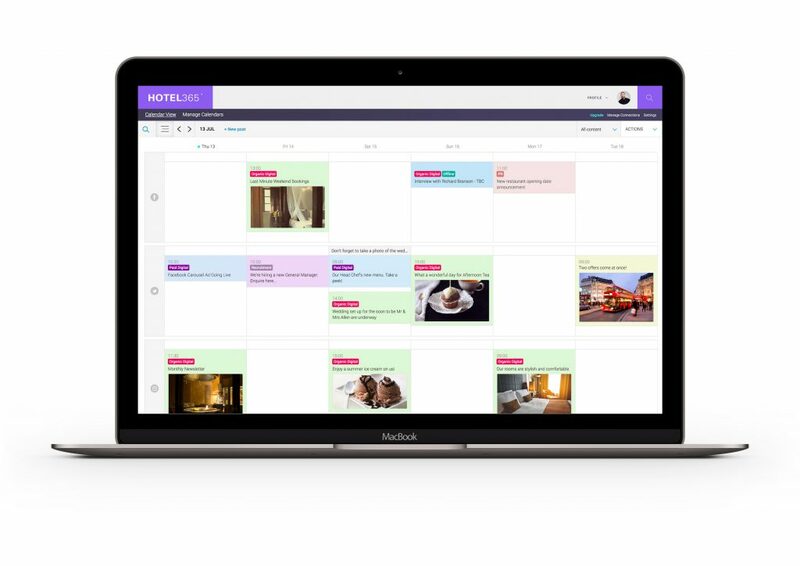 Imagine a world without last minute idea generation or wondering who holds the keys to your Twitter account; Hotel 365™ centralises your campaigns, publishing, and day-to-day workflow. Once you’ve determined your peak demand periods (such as summer), and have considered what audience, objectives, channels, and times are most suitable for your hotel, you’re in a position to start planning. Content can be easy to plan ahead of time and with Hotel 365™ you’ll be able to add placeholder events in the calendar as memos to yourself and your team. Whether you hire a photographer for a day or capture video content as you go, you can always generate interesting things to be used in the months ahead. One of the biggest strains on any marketing department is the ability to collaborate with your wider team or agency. From approvals to sharing notes, most of these tasks end up cluttering your inbox or filling up your diary. Hotel 365™ has the functionality to enable hoteliers to improve visibility on all aspects of their marketing activity without needing to leave the platform. With Channel Notes, you’re able to log your ideas on a daily basis and keep your team aligned, enhancing all aspects of quality control. Hotel 365™ enables you to map out your strategy and ensure your daily posting schedule is always aligned to your objectives. Take note of your OTA activity and pre-plan flash sales to maximise the lead time and results. Hotel 365 allows you to update entries in real-time as well as record your previous efforts and work. Hotel 365™ will be available soon in Hotel Lobby, so keep your eyes peeled for further updates. It’s never too early to start planning your 2018 activity. Join some of the UK’s leading hotel brands that are already taking advantage of increasing sales and using our technology. Contact us using our enquiry form or call the office on +44 1242 801849 to create your best seasonal campaign yet.